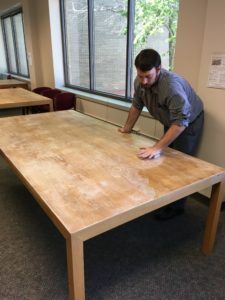 Step one: Clean the tables thoroughly with Murphy’s oil soap. You can see in the picture to the left what a difference just cleaning the tables made. Step two: Sand the surface to prepare for stain. 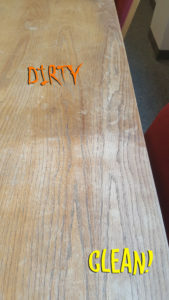 The tables are not solid oak, but are sturdy enough to handle a light scrubbing to the surface. 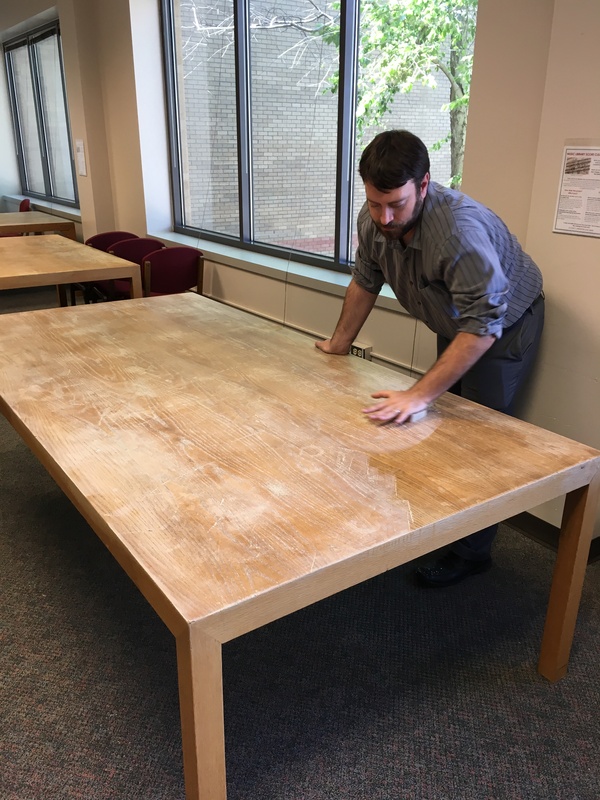 Here’s Tim applying a little elbow grease. 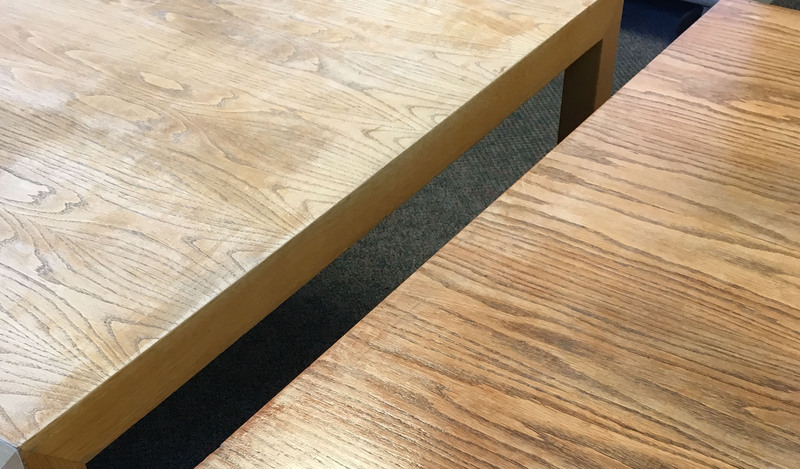 Step three: Apply two coats of all-in-one stain and poly finish to each table. The picture on the left is our worst table before the stain and the picture on the right is the same table with stain. What a difference! 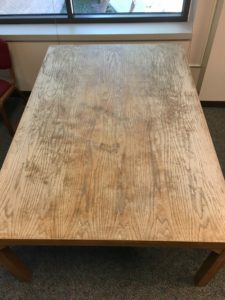 For less than $50 and a few hours of time, we were able to extend the life of these very loved study tables. 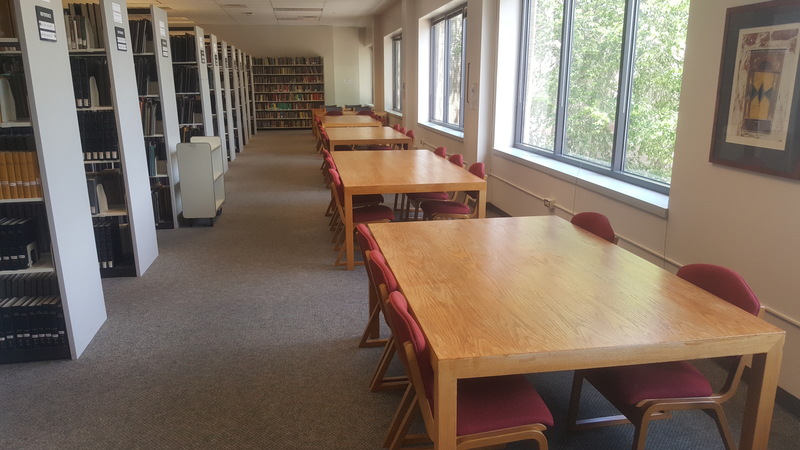 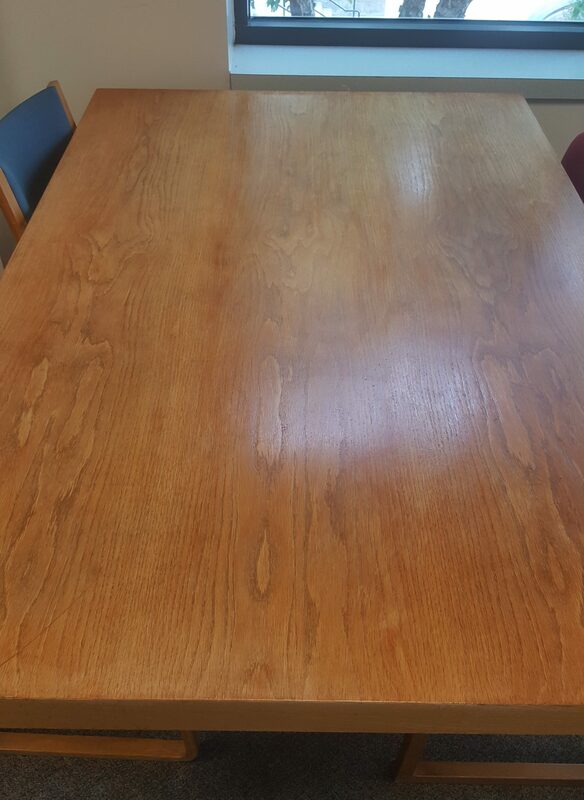 Here is a picture of all of our beautifully refinished tables.